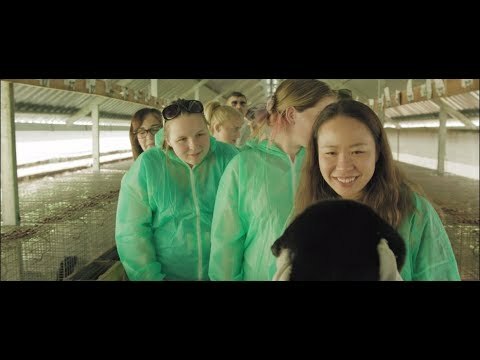 June 12, 2017 - Driven by the desire to explain to customers how the fur value chain works, the youngest furrier in Norway goes to work on a fur farm for a week. Pernille Moripen, Norway’s youngest furrier, has spent a week working on a fur farm to explore the value chain and explain to customers how fur products are made. Last year’s Summer School participant opened her atelier two years ago as a reward for years of hard work devoted to learning the right set of furrier skill. Now, when the business is growing, Pernille is focusing on how to make it thrive even more. A successful business also means a responsible supply of materials used in the atelier. Pernille says there is no room for compromise when both her reputation and that of her suppliers from the Norwegian Fur Breeders Association are at stake. Grateful for the trust of the customers, Pernille wants to do more to show she deserves it. 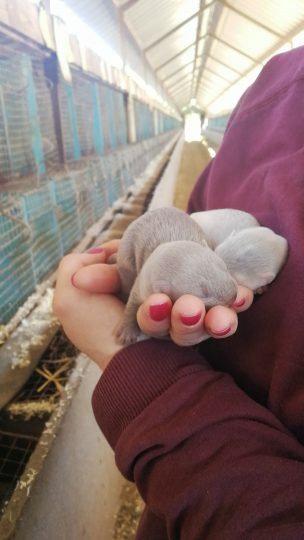 Although she has visited fur farms in the past, for her it is still an area of the value chain where she could improve her knowledge. The only way for Pernille to learn enough on the farming side is to become a farmer herself. Even if it is for some time. The organisation is easy. It takes one call to a friend from the Summer School – Anne, whose family owns a farm in the Netherlands, and the details are clear. 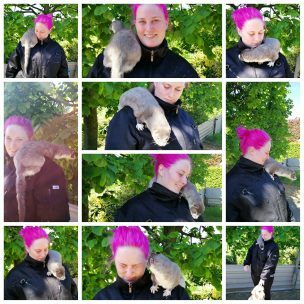 Pernille leaves the furrier atelier to become a genuine fur farmer for a week. ‘’I got more interested in fur farming every minute I spent working at her farm. It is its two different things working and visiting a fur farm. When you just visit a farm you’ll just see the animals and how they are, but when you work at a farm you’ll see everything the farmers do and what the animals need. You get a VIP ticket to behind the scenes,’’ she explains. Pernille admits that her approach might be unconventional for some, but she is certain for one thing – furrier and farmers depend on each other’s work, and should work closely together. The winner from this good relationship are the customers themselves. At the end of the farmer’s adventure, Pernille goes back to work on the side of the value chain, where she feels the most comfortable – at the atelier. Asked what she want to see from the fur industry in the future, she gives a simple answer.